What would happen if Christ was born these days? 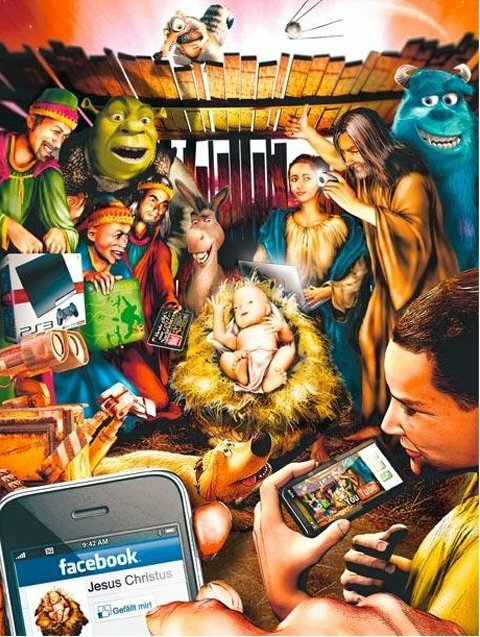 Polish magazine "Fact" set the birth of Jesus Christ in the unusual position: in this day and age. 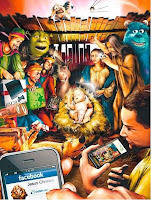 News that Jesus was born is spreading through Facebook, friends like the status of Joseph and Mary, a clip of birth on YouTube was seen by millions of people. There are various gifts for birthday including PS3. Crazy but true, it would be that way if it happens these days, don’t you think so?